Protect your investment with a comprehensive insurance policy from Quote Texas Insurance, a leading insurance provider in Texas. 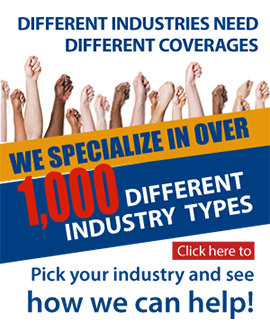 Your auto parts shop business deserves only the best insurance products and services. Quote Texas Insurance is a leading provider of insurance solutions for retail stores in Texas. Protect your auto repair shop business with complete and reliable insurance solutions from Quote Texas Insurance, one of the leading insurance providers in Texas. Auto body shops need broad and reliable insurance coverage. Quote Texas Insurance is a leading provider of insurance solutions for body shops and other businesses in Texas. Build a strong and lasting career as a carpenter. Quote Texas Insurance provides insurance products built specifically for carpentry professionals in Texas. Protect your dentistry business with reliable insurance policies from Quote Texas Insurance, one of the leading insurance companies in the state of Texas. Keep your career as a doctor or physician in perfect health with the right insurance policies from Quote Texas Insurance, a leading insurance provider in Texas. Quote Texas Insurance offers comprehensive insurance solutions for Welders in Texas.